Dynaflair maintains the design, engineering, manufacturing, and support services to build security closures for virtually any situation. SLIDING GRILLE CLOSURES — Dynaflair invented the sliding grille over 40 years ago and it still remains one of our most popular security closure systems. 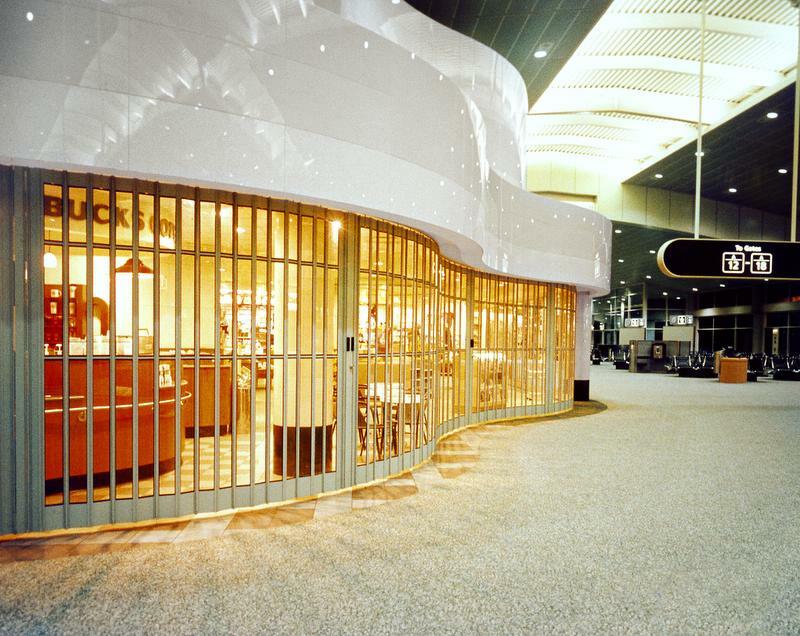 Sliding grilles can accommodate curved storefronts, variable heights, overhead space limitations, and other design constraints. Designed for more traditional retail and related installations, Dynaflair rolling grilles can accommodate openings up to 40-feet wide and incur no loss of opening due to storage requirements. A wide variety of custom features are available to meet your specific needs. Conventional closures must be rigidly mounted or suspended from a building structure. Sometimes you have to think and design outside of the box. 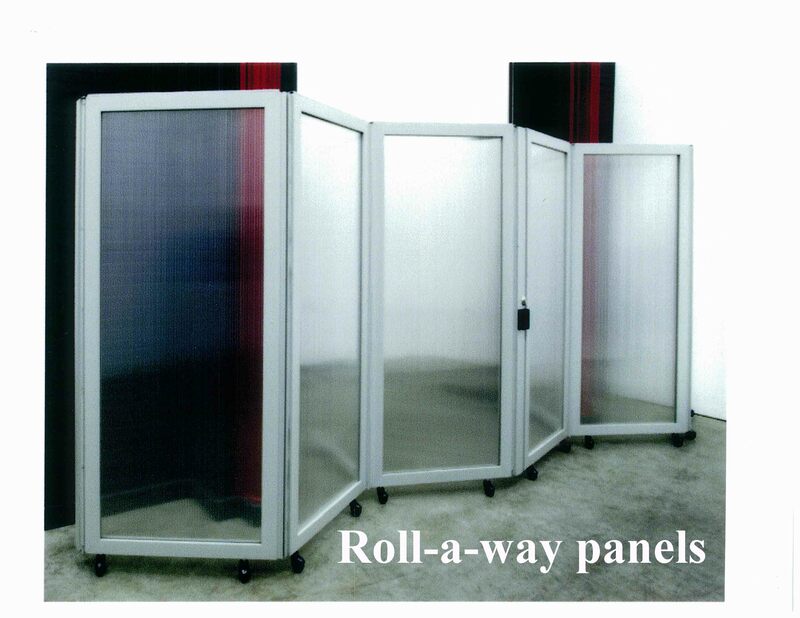 Dynaflair offers a variety of free standing, roll away barriers, self-supporting mini-shutters, fixed panel glass window protection and many other custom solutions when the “out-of-the-box” grille just won’t do the job. How do you incorporate Dynaflair grilles and closures into your project? How do they work? Please examine and download the details of the structural requirements, locking methods, mechanical systems and installation of these products.